God I miss the cities :( Some day I think I will move back, no other place feels as much like home. Did you climb the handle & snog in the spoon? lol Maybe that's just a minnesotain thing? Your raspberry photo is GORgeous!!! did you finish the sock? Mmm raspberries! I miss raspberries. 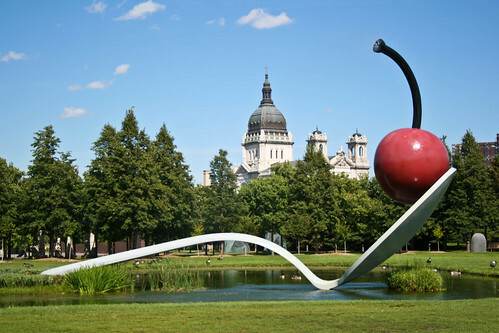 Maybe the St. Paul farmer's market will have some. I really need to get out more and see the sights of the cities. Looks like you had fun! Oh Yay, the Foshay Tower!! My dad used to work in that building during the early 70s when it was the tallest building in Mpls.! Mmm! 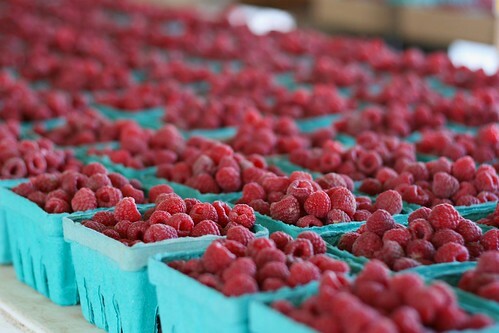 I want some raspberries. Nice pics. Nice photos! I miss the cities too. 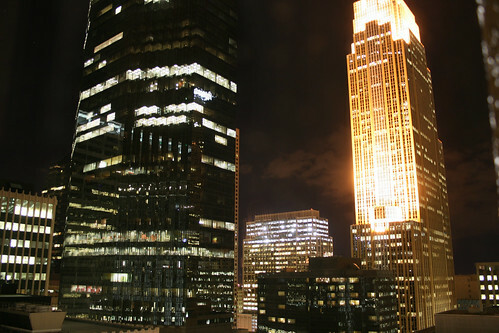 I remember when the Foshay had a big yellow ribbon around it during the Iran hostage crisis. I was about 5 or 6 and I didn't really understand the significance, but it was certainly memorable. I've been lurking around your blog for... oh two years now, and am a dedicated non-commenter. That picture however caused me to exclaim out loud, so I thought it deserved a response. WOW! Your blog is fabulous! So much to explore... I'll be linking to your wristlet tutorial for sure! so many raspberries... have you tried making raspberry muffins! devine!